What is a wager you may ask? In simplest terms, a wager or wagering requirement is a gambling site's way of saying "Have this nice bonus. But NO, not really". You didn't find that funny? Search for "Wagering Requiments Body Count". Yeah, in some cases it's that bad 😄. Say no to wagers! A more serious definition for a wager requirement would be the special conditions attached to bonuses of all kind including free spins. Is the amount, set by the gambling site, that needs to be cleared by playing. A wager is cleared by playing for real money. For example, if the wagering requirement is 20 and the bonus is 50 Euros then you as the player must wager 20 x 50 = 1000 Euros before you can make any withdraws. A wager is cleared by playing. Clearing a wager in slots means playing for money for a specific amount. 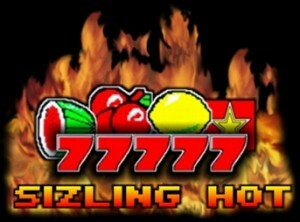 To clear a 1000 Euros wager requirement in the Sizzling Hot Slot, for example, you must feed the machine 1000 Euros worth of bets. Keep in mind that the wagering factor can be anything between 20 up to 45. How high is the wagering factor entirely depends on the respective site. Don't expect some super secret fancy mathematical equation. The best way to avoid wagers is to ask customer support not to give you bonuses or free spins attached with astronomical wagering requirement terms. This inquiry is done before making a deposit. Thus eliminating the problem from its roots. Doing some research on actual player's experiences before opting for a bonus can also help. Each gambling site has the wagering number written under terms and conditions. The subsection for bonus terms and conditions is what to look for. The best solution is to play at sites where are no wagers. One such site is Play OJO there are no wagering requirements of any kind. It's a fair and honest system where the player deposits and can withdraw whenever he wishes. Click to Play Wager Free Slots Right Now.